50W peak power x 4 channels give a powerful sound. Features a useful USB port as well as a front-access auxiliary input that provides quick and easy connection of a compatible MP3 player or other portable audio device. Media card slot Offers compatibility with most Secure Digital cards (not included). Detachable faceplate for added security. AM/FM tuner let's you quickly find your favorite channels. 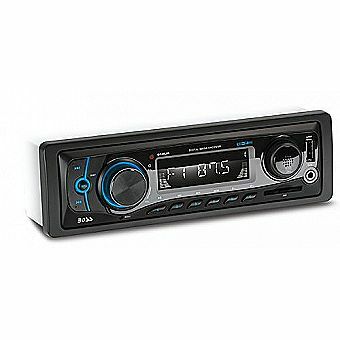 Single-DIN mounting allows for simple installation.